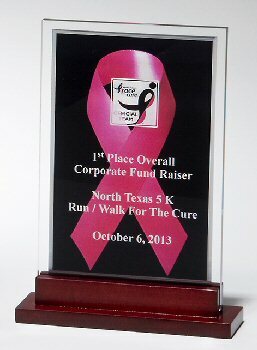 Pink ribbon against a black background rectangle acrylic award with silver mirror border. A great award for Breast Cancer Awareness. 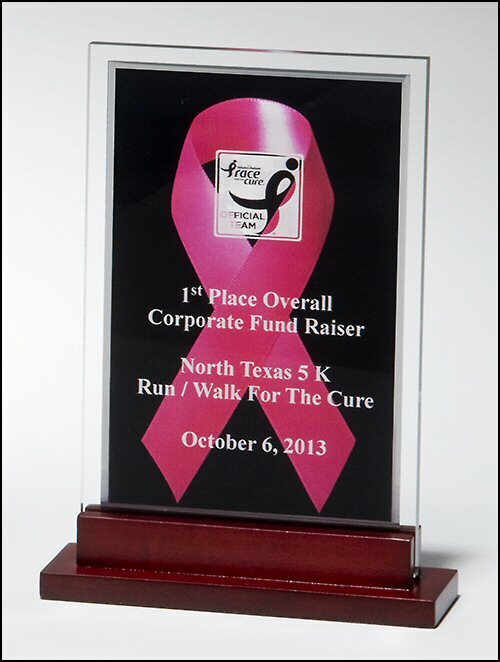 This acrylic award is 3/8 inch thick and stands 6-3/4 inch high. Free detailed reverse laser engraving adds dimension to this award making it very special. Before shipping, a proof will be emailed for your approval. Each award is individually boxed.